If there's one piece of clothing in my closet that has gotten a serious amount of wear over the years it's my denim jacket. It's been a style staple for decades and it's not going anywhere. For me, it's something I love to grab as I'm running out the door to dinner to pair with a sundress- or as a layering piece to make an outfit feel a little bit more put together. Denim jackets are a great way to add structure to an outfit or to pare down a formal dress & make it feel a bit more casual! On a a side note, I've finally tried out the jogger trend and I'm not sure what's taken me so long! They are literally like wearing pajamas & they're one of my favorite pieces to wear while I'm working from home. They're a step up from yoga pants when paired with a denim jacket & tan heels! 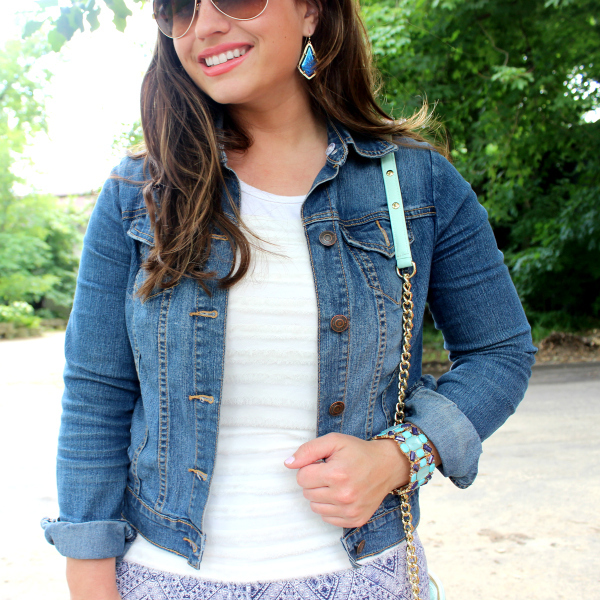 As you can see from this summer denim jacket styling inspiration, It adds a fun casual element to all of the looks. Paired with little white dresses or white denim it adds another focal point and pop of color. Paired with preppy prints like stripes and gingham it has that distinctly all-american feel to it. Then, it also helps make dressier embellished pieces and sundresses feel a little more casual. Over the years I've always debated if it's something that still needs a place in my closet since I've had it for SO many years. Every single time I see some great style inspiration and I know this classic wardrobe staple isn't going anywhere! 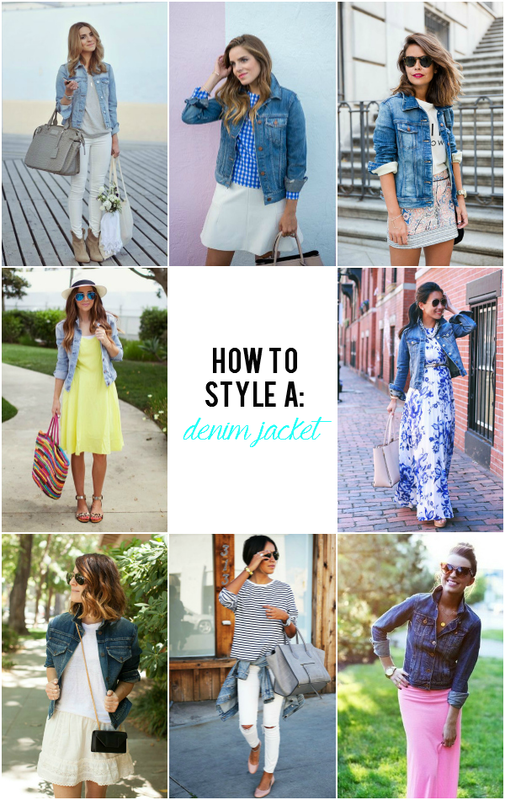 How do you like to style your denim jacket? I've always wanted to invest in a denim jacket. They always look so cool. I would definitely wear it with a dress. Love how you styled it. The printed trousers are so pretty.